Inhaca Lodge is currently closed for renovations. 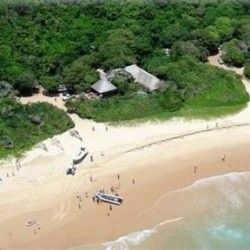 Inhaca Lodge is a beautiful Indian Ocean Island positioned on the beach in a tropical garden setting. This is a wonderful destination for families and friends wanting to experience island style hospitality in comfort. Inhaca Lodge offers a total of 40 air-conditioned rooms situated amidst tall, swishing coconut palms, cheerful birdsong and exotic gardens. There are two types of rooms, Standard and Family Rooms. The Family Rooms are equipped with 2 fold-out sleeper couches for children under 12 years of age. Inhaca Lodge has conference facilities for up to 80 delegates, with an overhead projector, screen and flip chart and the business centre has internet facilities. A wide selection of sporting and team building exercises will ensure many memorable moments! At Inhaca Lodge you can really combine business with pleasure! You’ll be cared for in the friendly Mozambique way from the moment you arrive until your last sunset sundowner. Fish and seafood meals are a speciality and are served in the restaurant as well as outside on the shady pool terrace. Take off from Maputo in the ferry and just a few hours later, you’ll land in paradise – an island which will capture you heart forever. At Inhaca you may use your own boat for fishing and sightseeing. A valid skipper’s licence and a port licence fee are required. Transfers to and from the airstrip are complimentary for hotel guests. 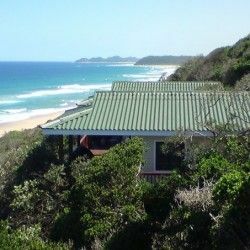 An island tax of MTZ200.00 (approximately ZAR70.00 per person) is payable to the authorities on arrival at the island. Please keep receipts. The least expensive ferry is Nylete government ferry at MTZ200.00 (approximately ZAR70.00 one way). The ferry departs Maputo on Mondays, Wednesdays, Saturdays and Sundays at 07h00. On Fridays the ferry departs Maputo at 12h00 (weather depending). Tickets are to be purchased at the terminal prior to departure.